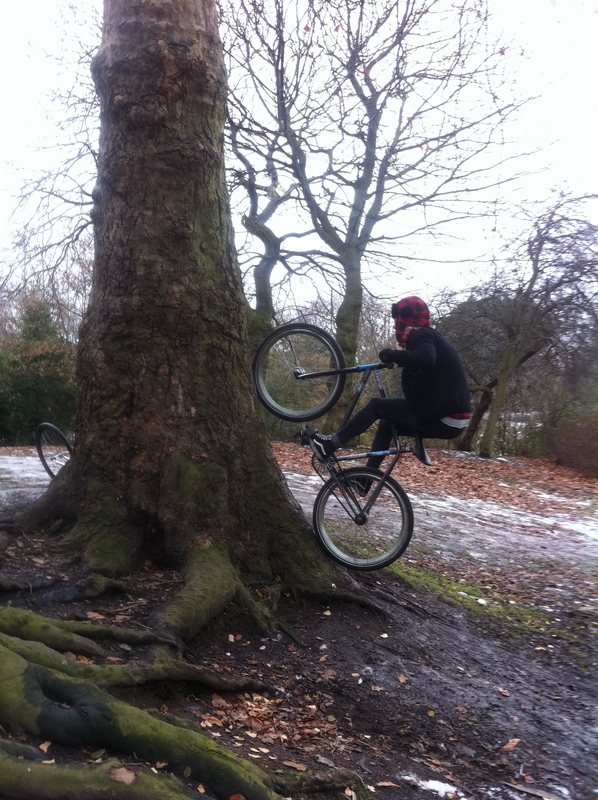 Things are getting a little desperate here – it’s still snowy and icy and there’s not a whole lot to ride. So I went and sessioned this tree in the park. What a wierdo I am! Got completely covered in mud from multiple falls! It was really tricky doing a slider out as the snow caught your wheel when you tried to whip it around. Well good fun though. Happy days! what gearing are you using? it looks kinda tiny.